This week we're pleased to present the picks of Sarah Selecky, author of Radiant Shimmering Light; Jennifer Robson, author of the forthcoming The Gown: A Novel of the Royal Wedding; Alix Hawley, author of My Name Is a Knife; Deborah Willis, author of The Dark and Other Love Stories; and Kerry Clare, author of Mitzi Bytes. IMPORTANT NOTE: This week's recommendations are part of a larger series launched in 2017 where we asked 150 Canadian authors to recommend 150 Canadian books. It's pretty awesome, so do check it out! Sarah Selecky is the author of the Giller Prize-nominated This Cake Is for the Party and most recently Radiant Shimmering Light. You can check out her awesome blog post on rebels, misfits and seekers—and her admiration for audacious writers. Jennifer Robson is the author of Goodnight from London, After the War Is Over, and Somewhere In France. Her new novel, The Gown: A Novel of the Royal Wedding, will be published in January 2018. You can see her recommendations for WW1 reading here. Sure, plenty of authors create believable humans, but this reads differently, as if Hay's people are writing themselves. It makes a quiet, realistic book almost eerie. 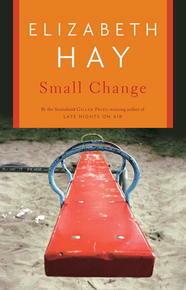 Diving right into the bog of friendship, Small Change contains all kinds of intimacies. The one between Hay and her characters stays with me most. Alix Hawley won the 2017 CBC Short Story Award. 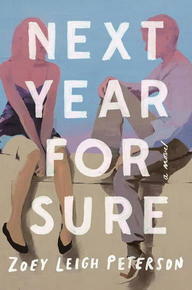 Her first novel, All True and Not a Lie In It, won the Amazon.ca First Novel Award and was longlisted for the Giller Prize. Her new novel, My Name Is a Knife, is out this fall. This novel, about a couple who tries having an open relationship, is complex, intelligent, and addictive—a true literary page-turner. When Chris confides to his partner Katherine that he has a crush on Emily, Katherine decides that she won’t stand in his way: “She was going to be cool and evolved, like a Joni Mitchell song.” And from there, Peterson propels the plot forward in ways that surprise but always feel real. The writing about sexuality is honest without being exploitative, and Peterson dissects her characters’ motivations in stylish, bright, precise prose. The book’s structure is breathtakingly artful, confined to one year, and each scene and image seems perfectly placed. Even when reading this for a second time, I couldn’t put it down. This is a book about openness and loss and jealousy and emotional generosity. 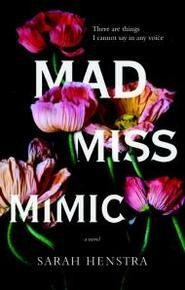 In short, this book will resonate with anyone who’s ever encountered the complications of love. Deborah Willis’s second book, The Dark and Other Love Stories, was recently published by Penguin. It was longlisted for the Giller Prize and was the winner of the 2018 Western Canada Jewish Book Awards. 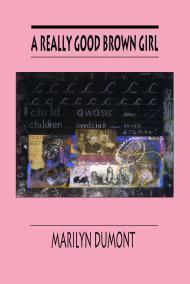 I read Marilyn Dumont’s Gerald Lampert-winning debut collection, A Really Good Brown Girl, in a few days, captivated by the narrative, the language, the brute force of these poems, as well as their sense of humour, their cheek. “Squaw Poems,” about growing up Metis on the prairies, a household surrounded by “The White Judges” who waited to pounce. And never really went away. Kerry Clare is 49th Shelf’s editor, the author of Mitzi Bytes, and the editor of The M Word: Conversations About Motherhood.